"Finish the Race or Die Trying..."
The country's much anticipated obstacle race is back this 2017. 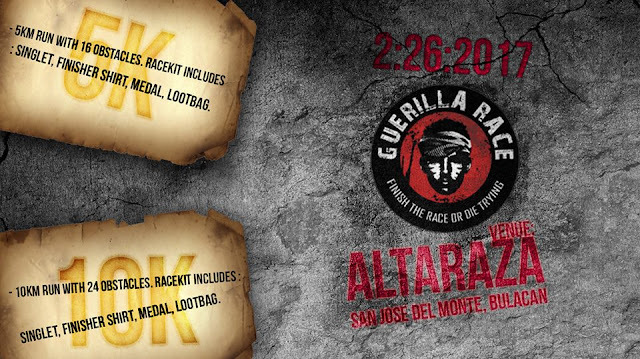 Save the date - February 26, 2017 for another exciting edition of Guerilla Race! After last May's venue in Corregidor, the race will take place next year in Altaraza, San Jose Del Monte, Bulacan.